Upbound on the Welland Canal below Lock 2, Oct. 19, 2010.. The barge John J. Carrick (C833236) was built by the Penglai Bohai Shipyard at Penglai, China. It was christened on July 8, 2008 and arrived Halifax, after a transpacific voyage, on Sept. 9, 2009. 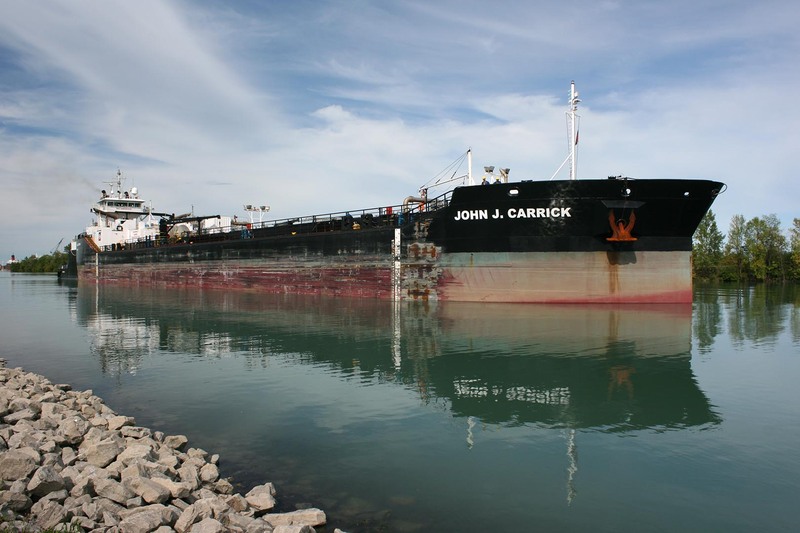 The trip to Canada, via the Panama Canal, covered 12,897 nautical miles. Enroute, the ship stopped at Garysville, LA, to load liquid asphalt for delivery to Dartmouth, NS. 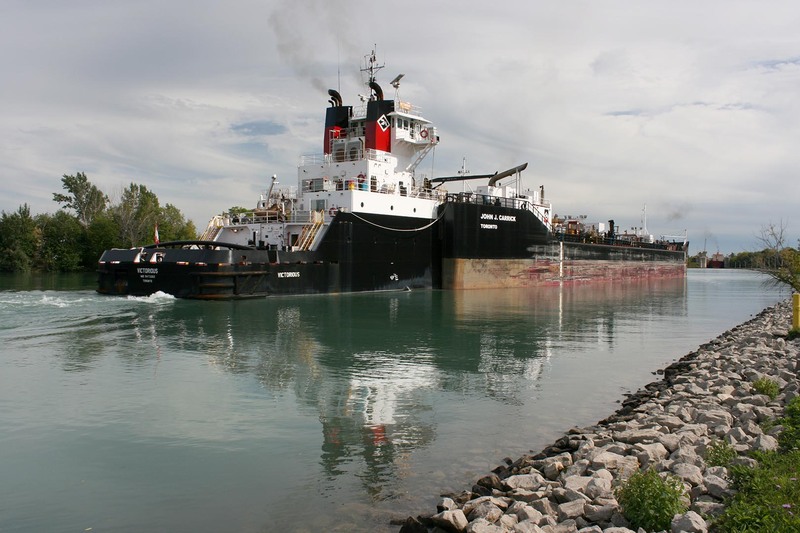 The barge was named for the co-founder of McAsphalt and is operated by McAsphalt Marine Transportation Ltd., pushed by the tug Leo A. McArthur (ex. Victorious) from the same shipyard. 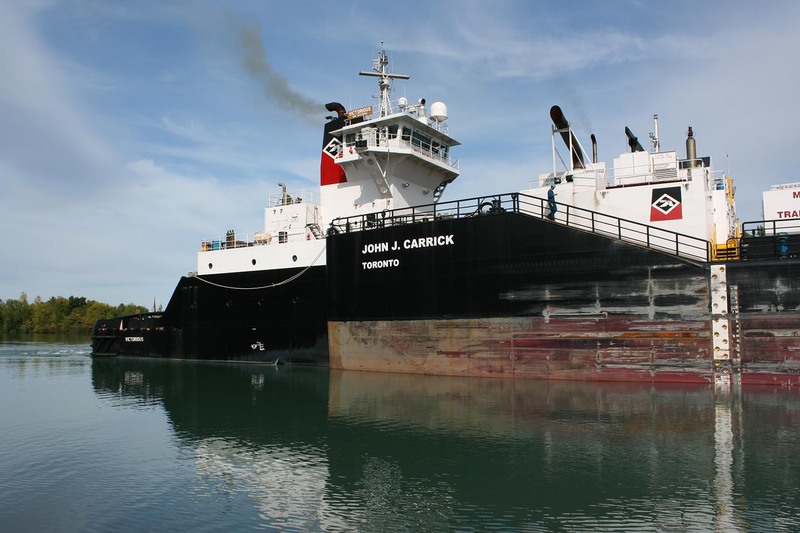 The tug/barge combination had been operated as part of Upper Lakes Shipping until that company ceased operations.